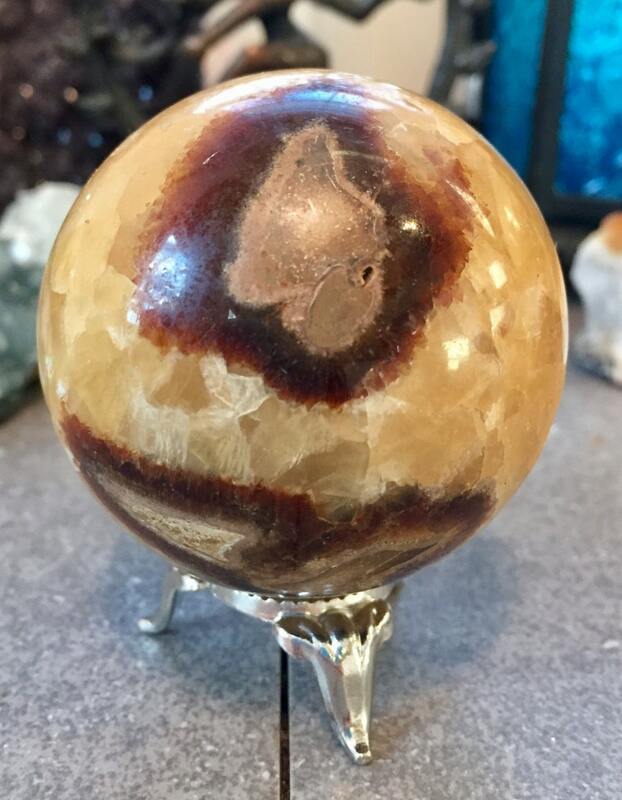 This gorgeous Septarian sphere looks like a polished dinosaur egg. The sphere has gorgeous yellow and brown sparkles. The yellow on this guy is like a sunny day. Really cool peice!. This guy is 2.5 inches in diameter and truly looks like a dinosaur egg! Septarian is a combination of yellow calcite, darker brown Aragonite and the surrounding limestone. 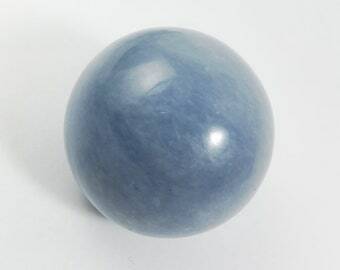 It is also known as dragon stone. Septarian is said to be grounding and to help capture your audience's attention. It is also said to help improve your patience.